Hi everyone. Firstly, I'd like to wish you all a safe and relaxed holiday season and I hope that 2016 brings good things your way. Secondly, I'd like to share with you my latest publication news; Secrets of Best-Selling Self-Published Authors is at a special discounted low holiday price - only $2.99! Want to know how indie best-sellers become best-sellers? Want to know whether or not self-publishing will work for you? Want straight-to-the-point advice and easy-to-read tips on self-publishing, book marketing and sales? (U.S. & U.K. links below) Grab a copy quick and please share with your pals. Being a self-published author requires a certain skill set. Being a successful self-published author (SSPA) requires an even greater skill set. Just because you are self-published does not mean you are successful or that you will be a best-seller. Common characteristics of successful self-published authors include personality and character traits that can be seen in most entrepreneurs and successful business people. To be a successful independent author, requires an understanding of the business of publishing and an awareness of the complexities and issues facing authors in this highly competitive and evolving world. 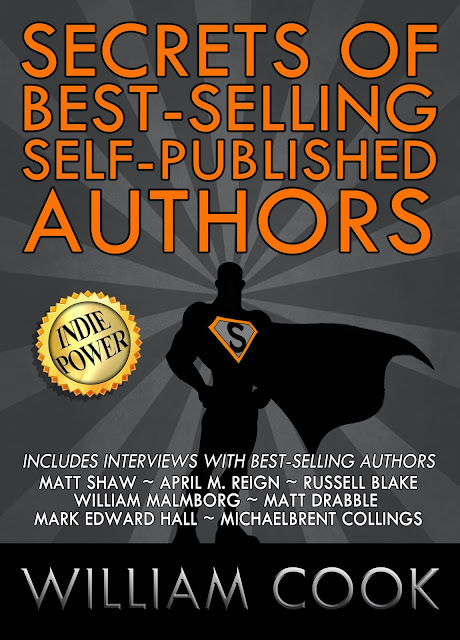 In this volume, interviews with best-selling self-published authors: Russell Blake, Matt Shaw, Mark Edward Hall, Michealbrent Collings, William Malmborg, Matt Drabble and April M Reign, offer priceless insights into the world of self-publishing and how they hit the best-seller lists.